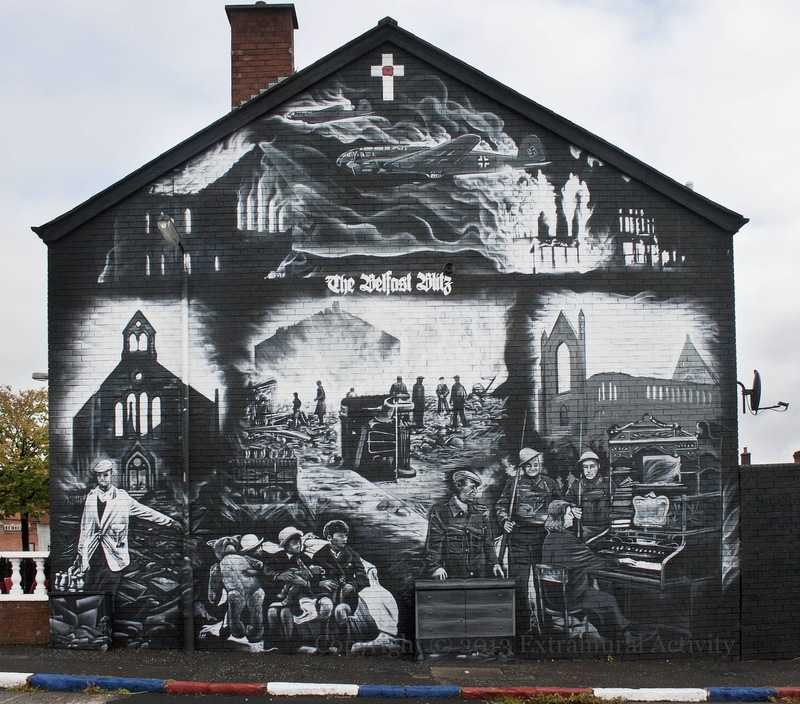 Above is a new mural by JMK (Jonny McKerr – Fb) in Hogarth Street (in Tigers Bay) with images of the Belfast Blitz – in the apex a Nazi bomber sets buildings alight; in the main panel, people, including a milkman, walk among the bombed-out buildings. 900 people died and half the homes in Belfast were destroyed or damaged (WP). 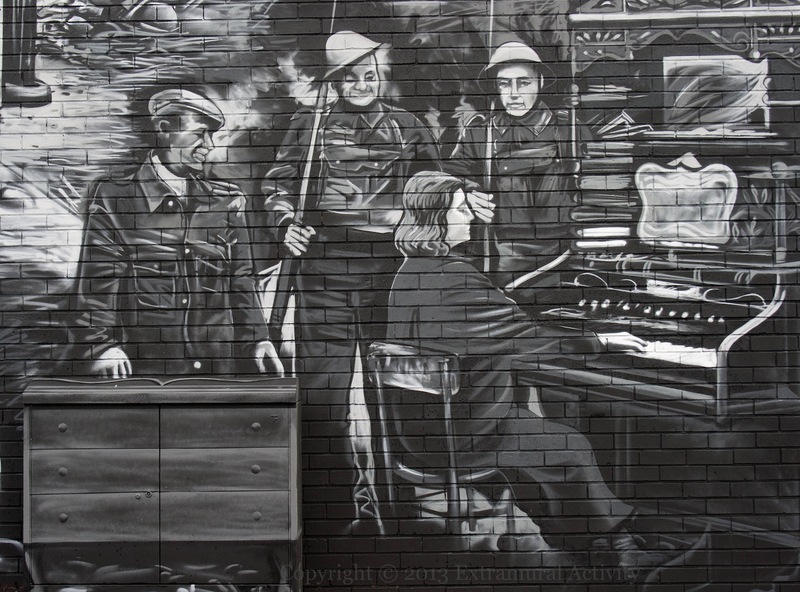 A detailed image of the bottom right corner, in which soldiers listen to a piano player, can be found below. The garden wall (to the right of the shot) has an outline on it but is not yet finished. If you know the artist (“Johnny from Lurgan”? ), please leave a comment or get in touch. Update 2013-10-16: The garden wall to the right has been completed. 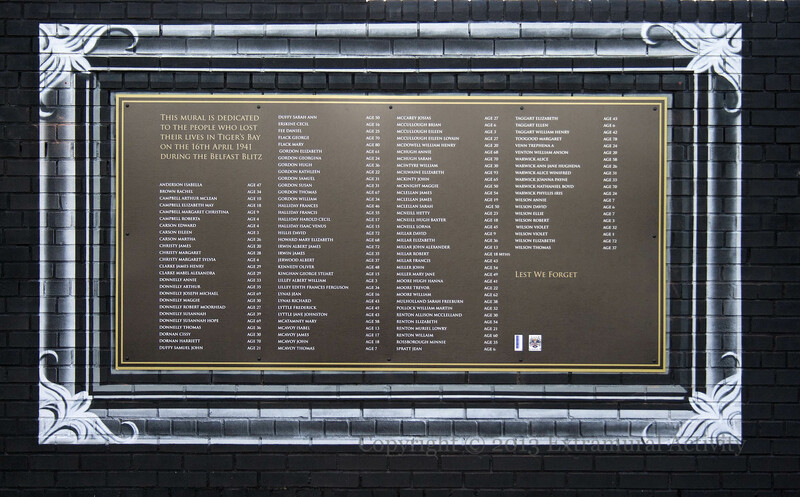 It features a painted frame surrounding a manufactured plaque. See below for an image.